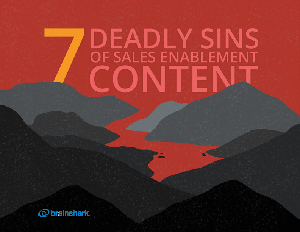 Sales enablement has quickly become a core responsibility of B2B content marketing. Unfortunately, studies show that majority of sales content sits untouched and unused on the virtual shelf. The reason is often rooted in a disconnect between what marketers create, and what sales reps need – but that alone doesn’t tell the whole story.